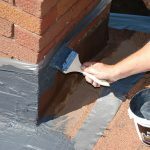 Need a professional? 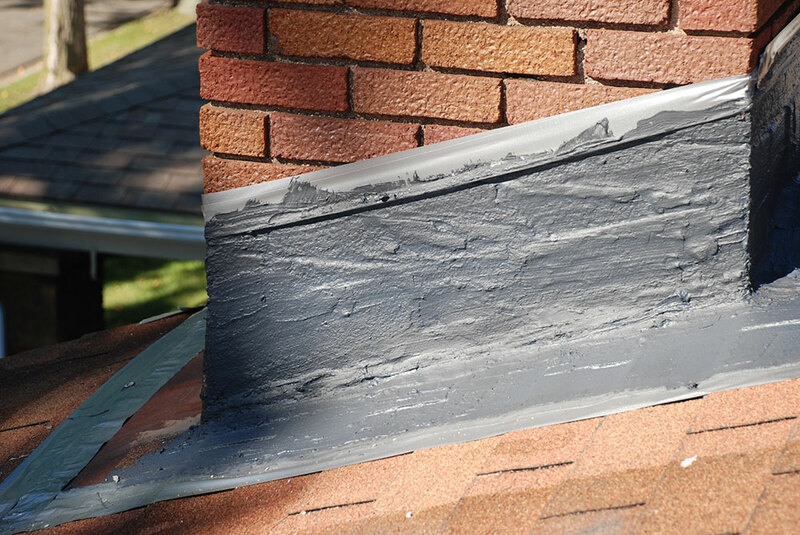 Find a CSIA certified chimney sweep near you. 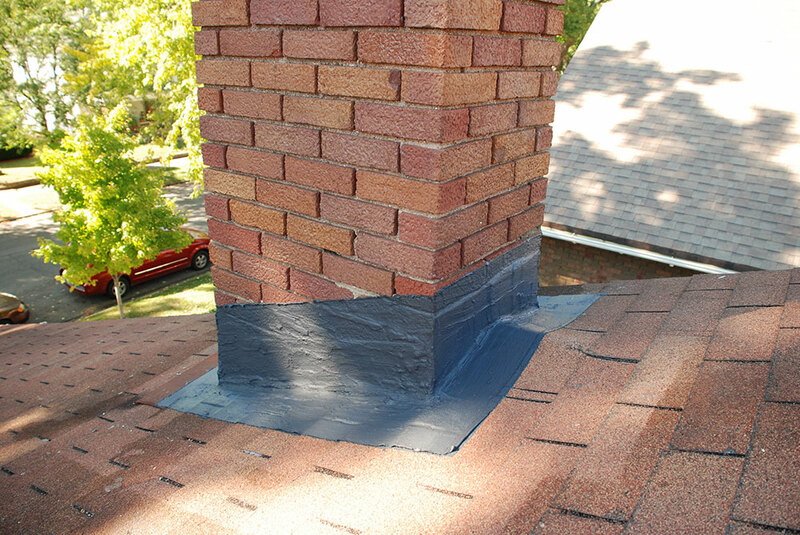 Use ChimneyRx Flashing Sealant to Repair Chimney Flashing Leaks. 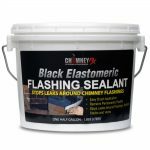 ChimneyRx Elastomeric Flashing Sealant is an elastomeric sealant specially formulated to permanently adhere to asphalt shingles, aluminum flashing, brick and other chimney and roofing materials. 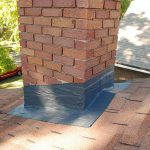 Faulty or deteriorated flashings can cause leaks and water damage to the surrounding roof deck or eventually the interior finishes of your home. 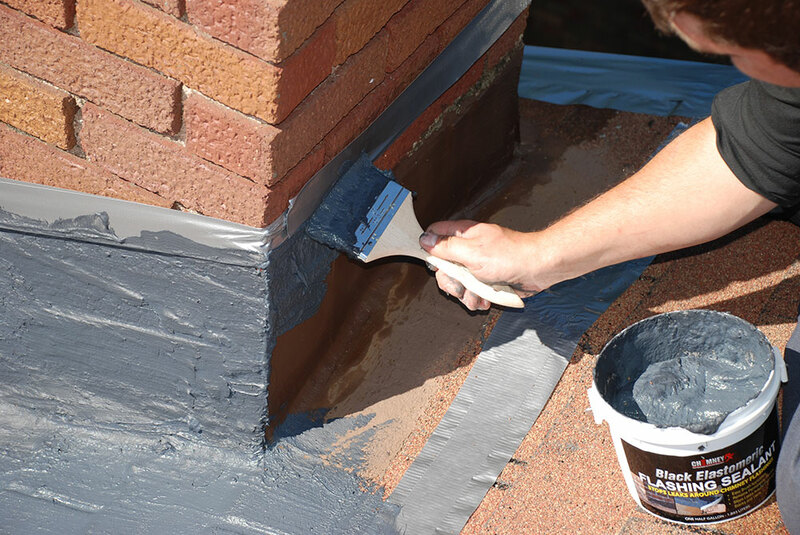 Unlike tar-based sealers, Chimney Rx Elastomeric Flashing Sealer is an elastomeric-based material that remains flexible over longer periods of time. 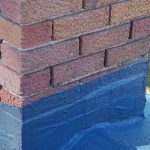 When applied, it will resist the typical brittleness and cracking associated with tar-based sealers that ultimately leads to their failure and need for replacement. 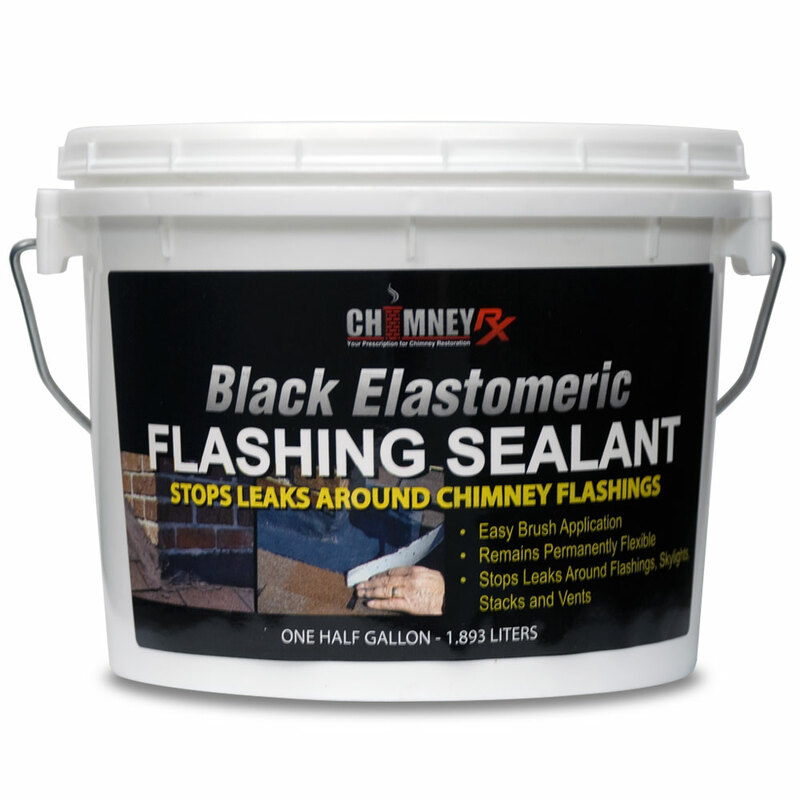 Chimney Rx Elastomeric Flashing Sealant is excellent for use in stopping problem leaks around the base of chimneys. 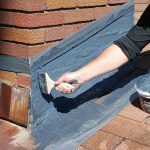 When used to repair chimney flashing leak at the base of a chimney, Chimney Rx Elastomeric Flashing Sealant provides a weatherproof “boot of protection” for the chimney. 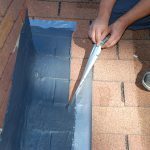 It is also great for sealing around skylights. 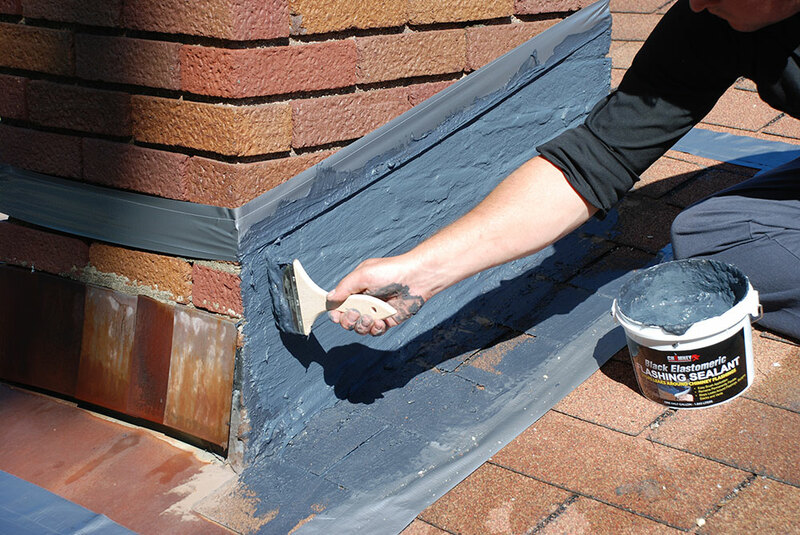 Repairing flashings that have been tarred, re-tarred or cracked has never been so easy. 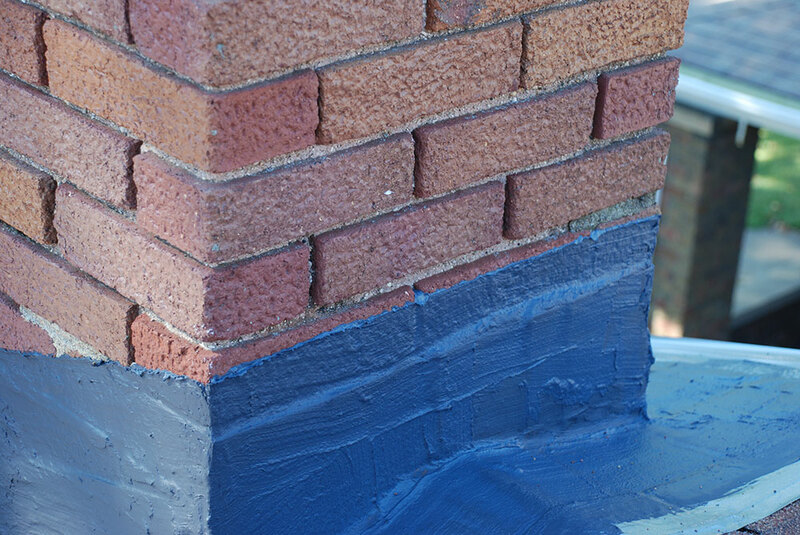 Available in 1/2 gallon plastic containers, each container covers approximately 14 square feet. © 2015 SaverSystems. 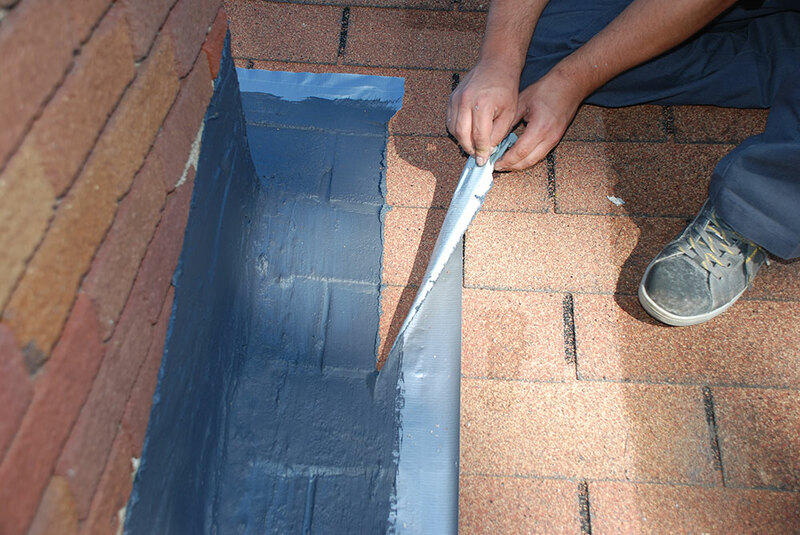 Customer Service (800) 860-6327. The Chimney Rx logo is a registered trademark of SaverSystems. 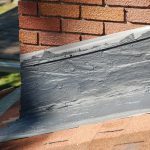 ChimneyRX.com is the official home of Chimney Rx products and is owned by SaverSystems, manufacturer of the Chimney Rx product line.